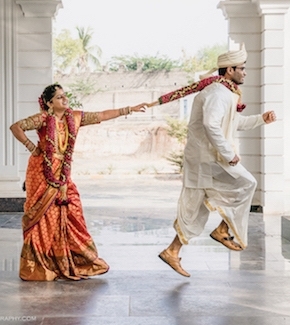 The couple got wedded on Saturday, April 30th in Mumbai in a high-end hotel in Mumbai. This is Bipasha’s first wedding while KSG’s third after marrying small screen actresses Shraddha Nigam and Jennifer Winget. The first snap of the wedded couple. 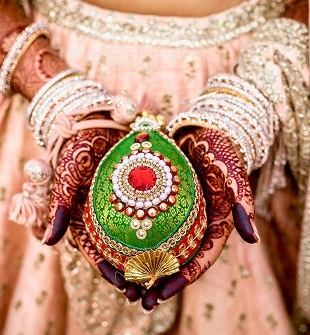 Bipasha looks the breath-taking mesmerizing Bengali bride in this all red Sabyasachi wedding outfit paired with heavily embellished gold and jadau Bong jewelry and red and white churaa in sync with the groom’s Punjabi custom. Also adorning her forehead was red-white Chandan dots and Karan complimented her well in this white sherwani and in what appears like a dhoti. The groom entered the venue in a quirky andaaj on a Segway amidst band, baaaja and baraat. And here comes the dead-drop beautiful bride in an entrance all adorned with flowers and with the couple’s prenuptial photos in the backdrop. 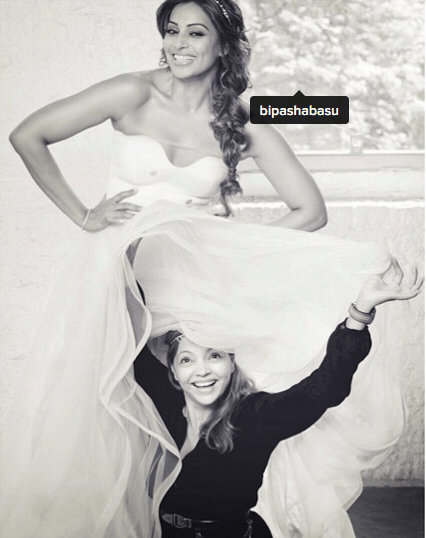 Bipasha in her desi beauty avatar shot during a Bengali ritual where the bride sits on a ‘Piri’ covering her face with betel leaves and takes 7 rounds around her groom. 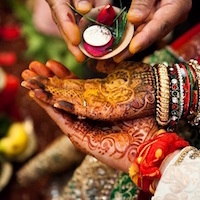 The wedding saw a mix of Punjabi and Bengali rituals. A shot capturing her uncontained happiness amidst the wedding festivities. Thaalis all set and decorated for the rituals. The newly wedded bride and groom posing for the media. And then the selfies with close pals doing rounds on social media. And here are the Bollywood guests who made it to the couple’s Big Day. Team WedAmor wishes the newlywed couple all the happiness on their new start together.